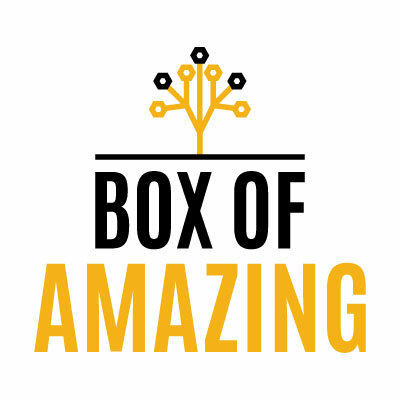 Many thanks for the feedback on how Box of Amazing is evolving. I've tried to roll up some of the feedback into this new design. I have tried to organise the content a little more, starting with the "must reads" (articles I think are important), followed by "What's Amazing?" (commentary on some important themes), "quotes" (from some great articles which may lure you in), and the Links (covering tech/sci/future, improving your life and a new section called 'top of the news'). I hope that gives some structure to what you find interesting. Many of you have replied back to tell me that Box of Amazing is become your staple reading to keep in the know. (and something that you look forward to on a Sunday - which is nice to know!) Box of Amazing not intended to provide high tech coverage but it is meant to curate the best sources to help you stay ahead of the game. As always, let me know what you think by replying to this email. If you want to support Box of Amazing, please consider forwarding this email to a few friends who would appreciate the content - or to those you think need to! "In other words, the virtual reality market is fundamentally constrained by its very nature: because it is about the temporary exit from real life, not the addition to it, there simply isn’t nearly as much room for virtual reality as there is for any number of other tech products. " "The term “disruptive innovation” was coined by Harvard Business School professor Clayton Christensen in the mid-90’s to describe a particular business phenomenon, whereby established companies focus on high-priced products for their existing customers, while disruptors develop simpler, cheaper innovations, introduce the products to a new audience, and eventually displace incumbents. PCs disrupted mainframes, discount stores disrupted department stores, cellphones disrupted landlines, you get the idea. "